With the revolutionary VISIA Complexion Analysis™, our advanced facial analysis tool, we’ve taken our skin care consultations to the next level. 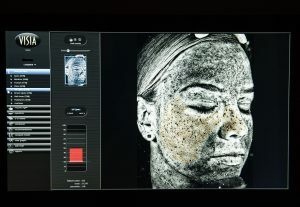 Like a scan for your skin, our experts use VISIA to better design your individualized skin treatment plan and achieve optimum results. This innovative camera system provides a “snapshot” of your skin’s condition as well as a method to track your treatment progression. If you’ve spent more time out in the sun that you should have, have any sort of dermatological issues or are just trying to slow the aging process, facial analysis can help you determine the best course of action. How can VISIA help me to achieve my skin care goals? 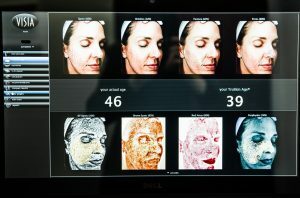 Assess your overall skin condition, better arm yourself with the skin care tools needed to identify accelerated aging and grade your skin using comparisons from the world’s largest skin feature database. What’s under the surface of your skin? Assess sun damage invisible to the naked eye, reveal porphyrins and identify skin conditions such as spider veins, hyperpigmentation, rosacea and acne. 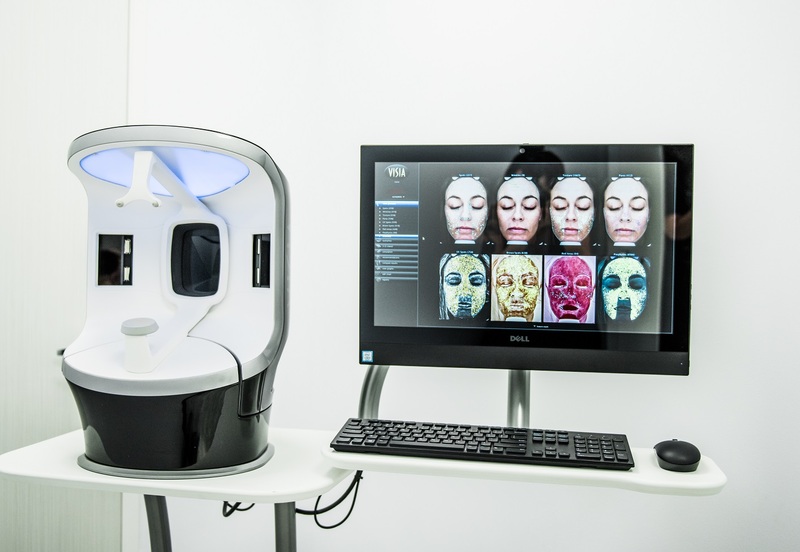 With facial analysis, track your skin’s progress as you receive treatments. How is VISIA used to formulate a treatment plan? With your personal facial analysis, our expert aesthetic providers are able to target specifically identified areas of your skin. Your skin treatment plan carefully considers your VISIA findings and addresses them accordingly. Your facial analysis also provides valuable aesthetic information, revealing the most beneficial skin care product recommendations designed to retain the results of your skin treatment.